Introduction of Raf en Lars Luyckx Geel/BelgiumWe prefer not wasting ours and your time with giving you a list of all big and small titles we won during our “fancier-carrier”. Luyckx Raf en Lars is a small fancier loft, not a pigeon-factory, we only have 32 pigeons to play and 12 pares for breading. 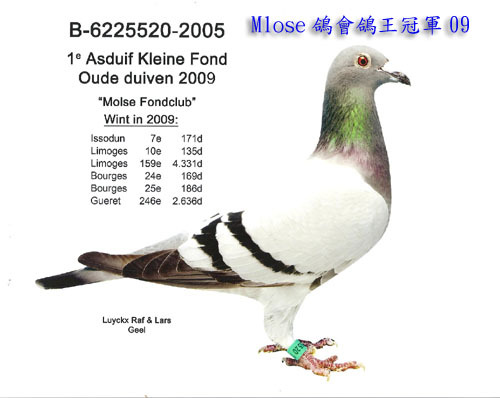 - Just for info these were the first two one loft races we participated and just with 1 pigeon….. 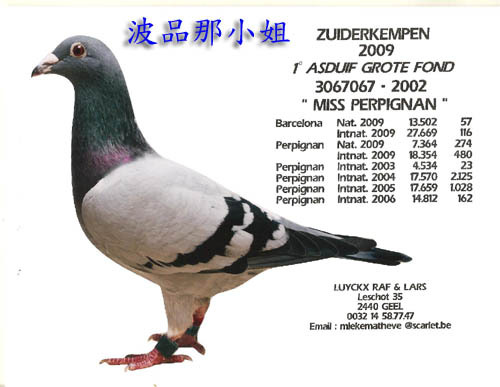 In all modesty, we believe that few fanciers have this kind of results with so little pigeons. It goes without saying that this should be enough.